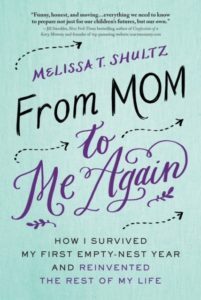 Home Alone: When the Kids Leave For College by Melissa T. Shultz, author, From Mom to Me Again (Book Excerpt & Giveaway) | MotherhoodLater.com - World’s leading website, eZine and community for midlife moms. Kids move out emotionally at least a year before they do physi­cally. And it’s important to remember that it’s mostly a one-sided thing—we’re the ones who are left behind with memories of them in every corner. As far as leaving us is concerned, in their minds, we’re always here—they know where to find us. Drop-off stories run the gamut—with my oldest son, I made the mistake of turning around and looking back when we said good-bye. I do not advise this. Up until that moment, Lopez had considered herself an optimist, even after she lost her full-time job several years before. “I figured if I just kept going, I didn’t have to focus on it.” As the reality of the looming empty nest began to set in, Lopez knew that she needed to face some truths—chiefly, that she had been “faking the funk” for many years, and that for herself and her sons, she needed to focus on the open road that lay ahead. Beverly Beckham, mom of three and Boston Globe correspon­dent whose popular essay “I Was the Sun, and the Kids Were My Planets” has run every year since it was first published in August 2006, says she and her husband, along with their oldest daughter, who had already graduated from college, drove their youngest to school for her freshman year. When they arrived, there were signs on the RA’s door for free condoms, and then she witnessed a drug deal before having to leave her daughter in her dorm. “I cried all the way home,” she says. “My twenty-three-year-old daughter was in the back seat pretending to be a princess kidnapped by deranged people—she was trying to make me laugh.” Beckham says it seems like she must have cried for weeks, and then one day, her daughter called and told her how unhappy she was at school, and everything changed. “I wanted her to be okay,” says Beckham. 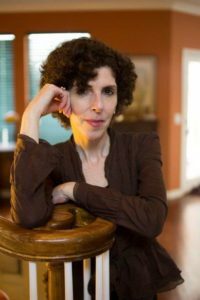 When the reality that your eighteen years of active parenting are up, take a breath and the advice of child, adolescent, and family psychologist Dr. Jennifer Hartstein: “Remind yourself of all the things you’ve done to prepare your teen for this big day and that it is part of life and needs to happen. Although it may feel sad, it’s important that your child move into the world.” What kids need now is not instructions about how to do everything right but the resourcefulness and resilience to cope with things when they go wrong. And that includes having parents to call on when they need advice. NOTE: BOOK GIVEAWAY: We are giving away a signed copy of the book. If you would like to enter to win, please email robin@motherhoodlater.com and indicate why you’d like to read the book. Please put FROM MOM TO ME AGAIN in the subject line. And, be sure to include your full name and mailing address.